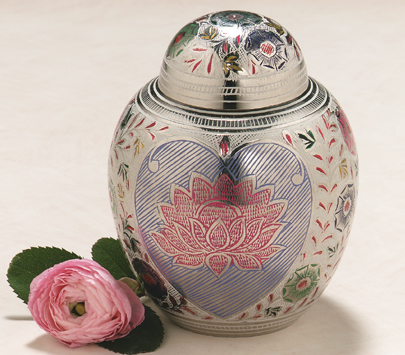 Colorful enameled lotus blossom and floral designs on solid brass create this faux cloisonne. Available in three sizes, the smallest represented here. 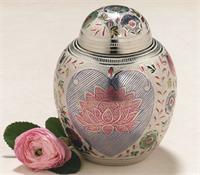 This urn is not engravable. Closure: Top Opening Threaded lid 3.25" Dia. x 4.375"H 21 cu. in. Urn Weight: 1.25 lbs.